International fairs have a long history. According to some opinions, in the era of globalization, the Internet and international travel, such events are a costly relic whose days are numbered, but EXPO 2010 in Shanghai is expected to strengthen China’s prestige in the world. Do you agree with this opinion? I agree that EXPO 2010 in Shanghai will be an excellent opportunity to demonstrate China’s rapidly growing economic prowess. In recent years, China has been conscientiously building its image of the global leader in economic development, and the fair will reinforce that image. Global EXPO fairs are the largest and the most prestigious promotional events in the world. For many years, they have been providing various countries and nations with an opportunity to build their image in the international arena. Poland’s participation in EXPO 2010 is needed for our country to emerge as a reliable and recognizable trade partner for China. In the long-term perspective, this will bring measurable benefits such as the tightening of mutual relations, mostly in the area of commerce, but also in culture and science. This year’s EXPO is the largest event of the type in the 160-year history of world fairs which will attract 70 million guests and a record-breaking number of countries and international organizations. Poland’s participation will mark the beginning of a national marketing policy, and it will build the national brand on the highly promising Chinese market. 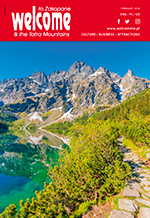 Can Poland hope to promote its tourist services in China and Asia during the EXPO event? China is experiencing a tourism boom, but tourists know very little about Poland. This is true. Based on our research, Chinese have a very limited knowledge about Poland, both in terms of its economy and culture. This year’s EXPO will change that, it will show that Poland is not a very distant country. Tourism promotion will be one of our main goals at this year’s fair. We will promote historical monuments that have been entered on the UNESCO World Heritage List. We will demonstrate that Poland is an interesting country which is worth visiting, a country that offers a variety of tourist attractions. The Polish mountains, the Baltic coast and the lake district, which still waits to be discovered by foreigners, are among the most beautiful places in Europe. 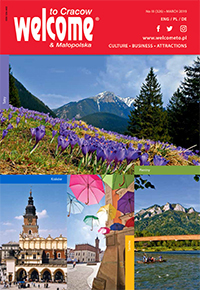 On 8 September 2010 a tourism round table will be held in the Polish Pavilion with the participation of Polish and Chinese tour operators, representatives of national tourist organizations, public administration and the media. During EXPO 2010, we will also focus on promoting Polish towns and regions. What is the main goal of the Polish presentation at this year’s EXPO? I would like to emphasize that Poland’s participation at the Shanghai EXPO 2010 is not a goal in itself, but an excellent opportunity to promote our country in China. A general promotion of Poland and its achievements is the key goal of our pavilion in this year’s EXPO event. The initiated promotional activities are part of a long-term strategy of reinforcing Poland’s image in the international arena by building trust and spreading knowledge about our country. We will attempt to increase Poland’s recognizability as a Member of the EU and a modern country with vast development prospects. For this reason, Poland’s participation in the fair will have a predominantly economic dimension. Poland wants to be an important trade partner for China. Poland’s strategic location, political stability, a safe investment market resulting from its membership in the European Union, solid foundations for sustained economic growth, a creative and well-educated workforce and the availability of EU structural funds that stimulate social and economic growth are the greatest assets of the Polish economy. We will encourage Chinese entrepreneurs to invest in Poland by demonstrating that Poland can be a gateway to Europe for Chinese businesses. Poland has developed close business ties with Western Europe that will support Chinese companies in reaching the markets of the „old” EU countries. We want to show our Chinese partners that Poland is a safe, prospective, attractive and stable investment market. One of the priority goals of our promotional measures will be to increase the volume of Chinese investments in Poland. The present level of investments does not reflect China’s capital capabilities and economic potential. We will encourage Chinese partners to launch large investment projects in the area of production, research and development, high technology and services. We will address the trade deficit problem in Polish-Chinese relations. As part of Poland’s economic promotion strategy, marketing efforts will be intensified in sectors of the Chinese economy that show the highest promise for Poland, including the mining, metallurgical, aviation, environmental protection and food processing industries. Poland will also promote its cultural assets in Shanghai. The leading motif of our cultural program will be the music of Frederic Chopin who is immensely popular in China. 2010 is the Chopin Year marking the 200th birth anniversary of this great composer, and we hope to capitalize on that occasion during the EXPO fair. Outstanding Polish artists will perform Chopin’s music in a wide variety of arrangements, including classical, jazz and rock. „Chopin Rock” and „Let’s Dance Chopin” are only selected suggestions that will popularize Chopin’s music among members of China’s young generation. How will the Polish pavilion make a reference to the theme of EXPO 2010: Better City, Better Life? Poland owes much of its success at previous EXPO events to the architectural design of its pavilions as well as its ability to relate to the leading theme of the trade fair. This was the case in Saragossa in 2008 and in Aichi in 2005. This year, Poland’s response to the theme of EXPO 2010, „Better City, Better Life”, will be a story about a country where human optimism and creativity are the greatest assets of every city. The leading theme of the Polish pavilion will be „Poland Smiles”. We will show that the main driving force behind Poland’s architectural monuments, historical sites and high-tech solutions are people with their positive energy, courage and creativity. Man fulfils his desire to create by filling cities with life and art, thus contributing to the unique ambience of municipal space.